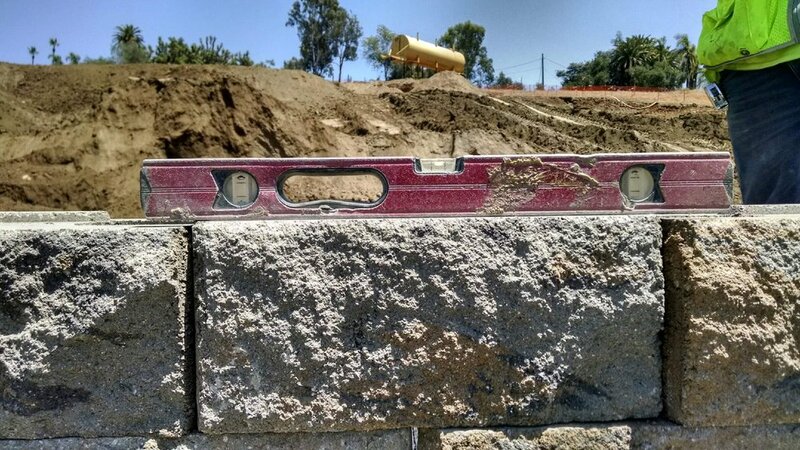 Founded in 1992, Geogrid Retaining Walls has successfully positioned itself as an innovative leader in the Design/Build Retaining Wall markets we serve. Our partnering approach starts early in order to identify critical site concerns and access product and design options that best fit budget and project goals. In-house engineering design capabilities that insure quick response time to field changes. Our integrated Sales, Estimating and Project Management team manages the entire project - from conceptual engineering documents to completed construction. Our construction safety program focuses on safety and quality control from the beginning of a project through completion. This includes a comprehensive written safety manual, new employee and ongoing safety training, site-specific safety plans, daily “toolbox safety talks” and a drug-free workplace program. Our Quality Control Program provides for means and methods, inspections, standards, corrective actions, reporting requirements and document control. Our commitment to quality control, strict scheduling and on-time completion are some of the reasons that many of our projects are with repeat customers.